State pollution agency expects elevated ozone levels on Memorial Day. 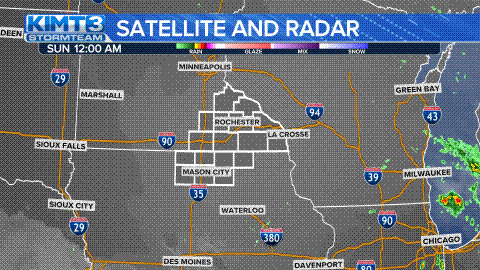 KIMT News 3 - Several North Iowa counties are under an air quality alert issued by the Iowa Department of Natural Resources this afternoon until 7:00pm. This includes Mason City and the counties of Cerro Gordo, Worth, Winnnebago, Kossuth, Mitchell, Hancock, Butler and Chickasaw. An air quality alert is also in effect Monday for for parts of central and southeastern Minnesota, including Rochester and Albert Lea. The Minnesota Pollution Control Agency says the alert will be in effect from noon until 8 pm and also covers the Twin Cities metro area, St. Cloud, and Mankato. Sunny skies, high temperatures, and light winds are expected to cause an increase in ground level ozone, reaching unhealthy levels for sensitive groups like people with breathing conditions, children and teens, and people doing extended or heavy physical activity outdoors. • Take it easy and listen to your body. • Limit, change, or postpone your physical activity. • If possible, stay away from local sources of air pollution like busy roads and wood fires. • If you have asthma, or other breathing conditions like COPD, make sure you have your relief/rescue inhaler with you. • People with asthma should review and follow guidance in their written asthma action plan. Make an appointment to see your health provider if you don’t have an asthma action plan.